Your survival drops to a clean clear blonde. 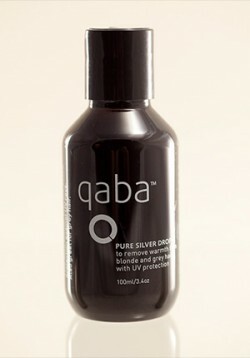 It removes unwanted warmth from blonde or grey hair instantly. Anyone that wants to remove unwanted warmth or brassy tones from blonde or grey hair. This product will maintain a beautiful clear clean blonde. After rinsing conditioner, shake well add 3-4 drops to 500mls or 1L of warm water, shake well and disperse evenly all over your hair, use every other time. For a stronger effect add more drops.